Ultimate Werewolf: Ultimate Edition is the ultimate party game for anywhere from 5 to 68 players of all ages. Each player has an agenda: as a villager, hunt down the werewolves; as a werewolf, convince the other villagers that you're innocent, while secretly dining on those same villagers each night. Dozens of special roles are available to help both the villagers and the werewolves achieve their goals while thwarting their opponents. The Third Edition contains a new bonus scenario. Dead Rock Sevenis a collection of four adventures for Ashen Stars from acclaimed writer Gareth Hanrahan (Arkham Detective Tales,Brief Cases, Invasive Procedures). Over the course of these adventures, the lasers are hired to deal with problems as diverse as murders on an old asteroid mine, missing executives on a pleasure planet, and threats to the security of an interstellar cooking contest. You can run these adventures as one-shots, as individual episodes in your own series, or in sequence as a self-contained mini-series. Four critically acclaimed adventures for Trail of Cthulhu are now available in a single volume, with exclusive essays by the authors. These are The Black Drop, Castle Bravo, The Big Hoodoo and Not So Quiet. Whether you carry fistfuls of dice, cupfuls of tokens, or a plethora of both, carry them in style with one of four colorful Fantasy Flight Supply Dice Bags. Each dice bag is decorated with a vibrant, eye-popping image to let you personalize your supplies. 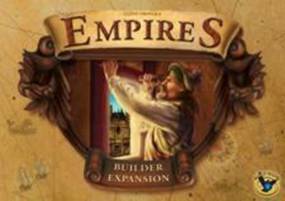 Players are investors who risk their businesses and money on this new technology as they build railway links through the mountains and over the rivers of historic New England. New England Railways puts players in the roles of those who built the railroads that linked the booming industries of 1800s New England--from the shipbuilders of Connecticut to the forests of Maine; from the fisheries of Massachusetts through the mountains of New Hampshire and on to the foundries of Albany. Railroads are expensive propositions. Indeed, players must borrow money from banks to amass the necessary capital to build these railways. Can they make a profit while paying the interest on these loans, and indeed, even while paying them off? Was the light bulb invented after or before glasses? With Timeline, learn the answer to this question and thousands of others by comparing your knowledge or hunches to historic reality. At the beginning of the game, players all get the same number of cards representing monuments, inventions, etc. At the back of each card is a date. To begin, one card is randomly drawn from those not given to players. This card is placed in the middle of the table, date-side up and is the starting point of a chronological line which will slowly be built by the players. The first player then chooses one of their cards. If the player thinks that the invention on their card came before that of the initial card, the player places their card to the left of the initial card. If they feel that the invention on their card was created after, it is placed to the right of the initial card. The player's card is then turned date-side up. If the player was right, it remains on the table. Otherwise, the card is discarded and a new one must be drawn to replace it. Play proceeds clockwise. The more cards which are correctly played, the harder it is to correctly place new ones! The first player to get rid of their cards wins. 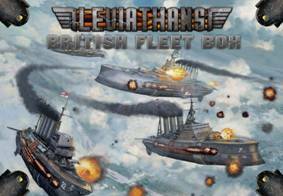 Leviathans simulates combat between warships that have taken to the air in an alternate history/steampunk 1910. The king leviathans, battleships, are the largest vessels. Maneuvering in support are light cruisers, destroyers and other vessels. Will you captain your fleet for king and country, expanding your nation's power and becoming legend? Or will you fall from the sky, forgotten? You determine the outcome. The Leviathans Dice Pack allows players to expand their dice pool during game play, resulting in less re-rolls. The Leviathans dry erase markers show a factions’ esprit de corps with a British and French marker. The British Fleet Box contains the British battleship, light cruiser and two destroyer high-quality plastic ship miniatures from the Core Box Set, but with four new, unique variant Ship Cards: Players can instantly expand their faction fleet after purchasing the Core Box Set for larger games! Sail High For King And Country! 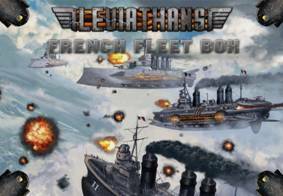 The French Fleet Box contains the French battleship, light cruiser and two destroyer high-quality plastic ship miniatures from the Leviathans Core Box Set, but with four new, unique variant Ship Cards. Players can instantly expand their faction fleet after purchasing the Core Box Set for larger games! Esprit de Corps! ACD Adds RJB3 and A New Card Game!